24th January 2016 Two further wagons have been released this week. 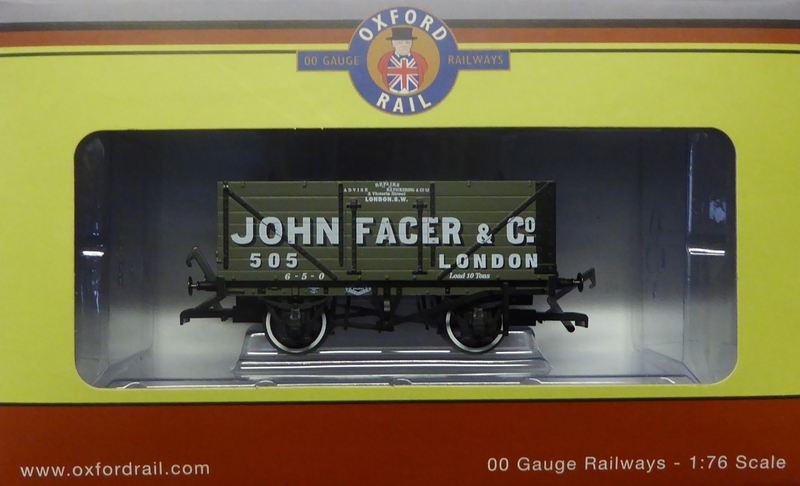 1st December 2015 At the Warley Model Railway show we announced two further liveries for our 7 plank wagon. These are due to be released in December. 26th October 2015 Two further liveries are announced for release late year. 25th October 2015 All six initial liveries of the 7 plank 1922 Open wagon have now been released and are in shops. All six have sold out from our warehouse, but in case of difficulty a small quantity is available for sale directly from our website. Our 7 plank 1922 Private Owner Wagons are progressing nicely, with Final Livery samples of the second 3 versions also arriving in the UK. They're going through final checks before approval this week too. From the outset I have stressed that we have a rolling planned introduction program based on extensive market research, as well as talking to (and listening to) railway modellers. We are therefore pleased to announce that we have developed a new 7 Plank wagon - it is fully tooled. 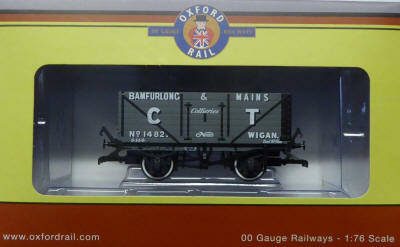 The standard 12 Ton Mineral wagon was the most numerous design of coal wagons built in the UK after 1923. Designed to RCH specifications (Railway Clearing House) this most ubiquitous of wagons had a universal length of 16'6" with a width of 8'0" and wheelbase of 9'0". 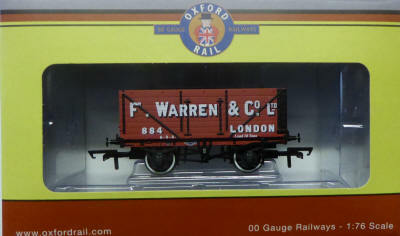 These wagons were of a simple design and employed standard RCH fittings throughout and were originally built as the Oxford Rail model depicts with seven side planks, making an overall body height of 4' 4". 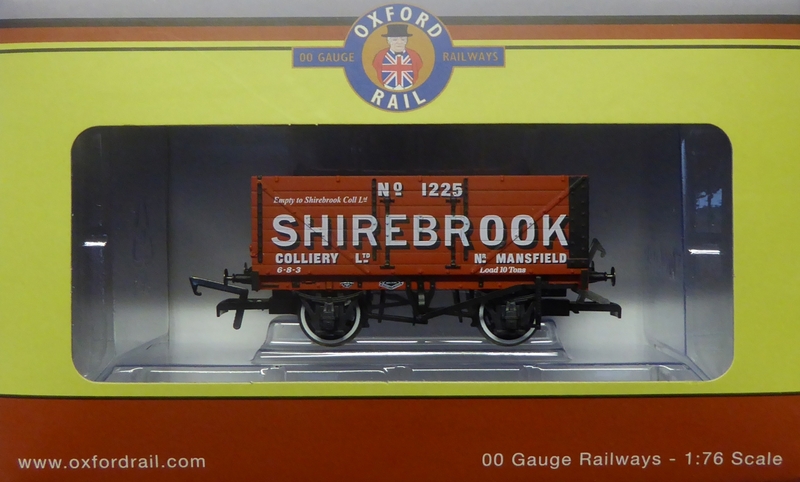 The new Oxford Rail Standard RCH 12 Ton Mineral wagon boasts finely engraved body and underframe detail plus NEM couplings. 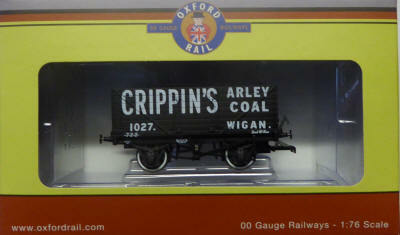 The initial 6 private owner wagons herald a new level of detail for the most discerning of model railway enthusiasts. Note the coupling loop will be shorter on the final production than this picture.